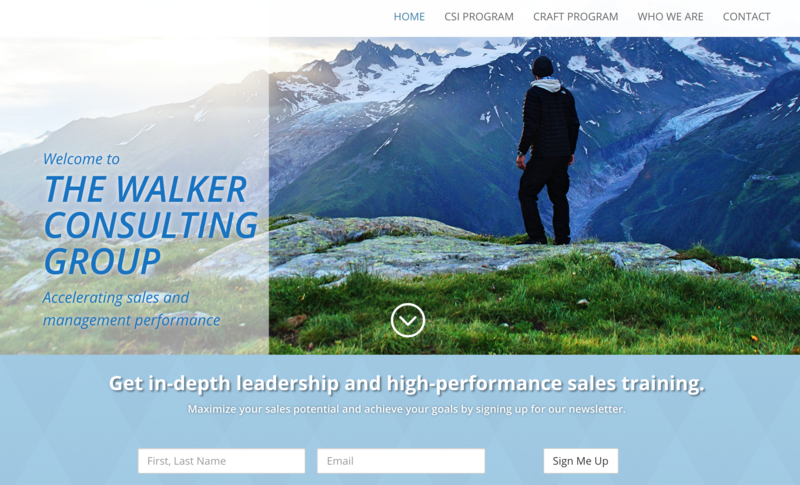 A consulting company that specializes in helping sales professionals accelerate their performance, Walker Consulting Group needed a website that would match the quality of their reputation. They wanted their new site to take advantage of modern design standards and aesthetics. They also wanted it to be mobile responsive, and wanted to be able to maintain it themselves after it was launched. Finally, they wanted clients to be able to contact them for potential consulting projects and to sign up for their newsletter on sales insights. Walker Consulting Group will continue to develop its network of clients. We’ve helped them along this path by building a robust website they can use as a centerpiece in their efforts to connect with new sales professionals.